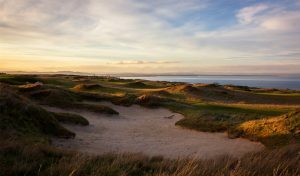 For over 600 years the Links has evolved and witnessed the coming and going of many influential people. Each has made a lasting mark on the Home of Golf’s future in different capacities. After working at the Link for 27 years, Director of Greenkeeping Gordon Moir will embark on his well-earned retirement when 2018 draws to a close. 26 Dunhill Links Championships, nine of which were the old nations team format. When did you start working at St Andrews Links? 16 September 1991, I was Head Greenkeeper on the Eden Course. 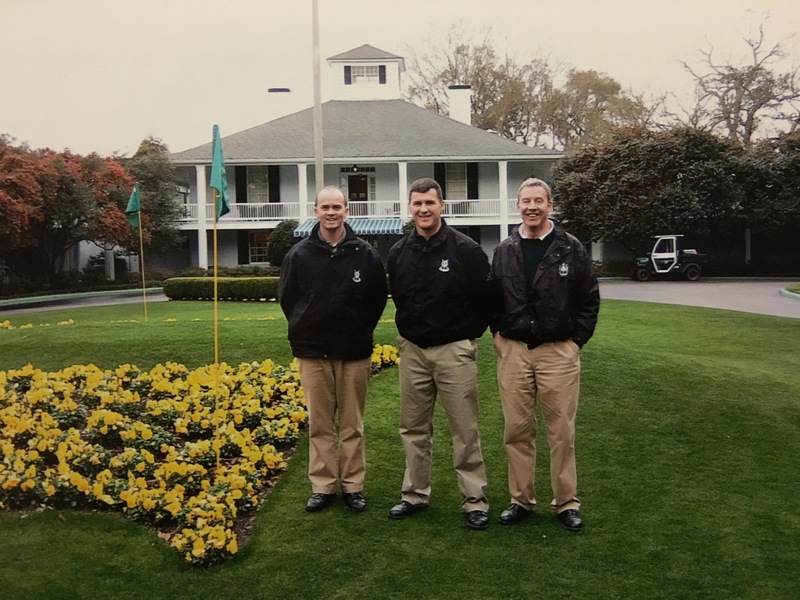 We didn’t become Course Managers until the 2000’s. 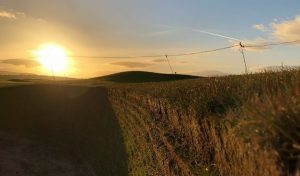 The Strathtyrum and Balgove courses had been built but weren’t in play at that time although the previous layout of the Balgove was in operation on what is now holes, 1,16, 17 and 18 of the Strathtyrum Course. 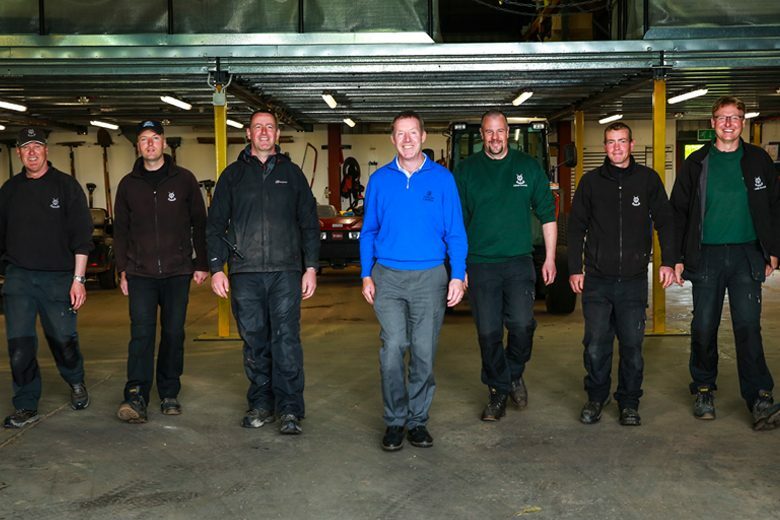 The Eden Greenkeeping Centre wasn’t built until 1996 so everyone worked out of the old Jubilee Sheds which was on the footprint of where the current Jubilee Greenkeeping Centre is. 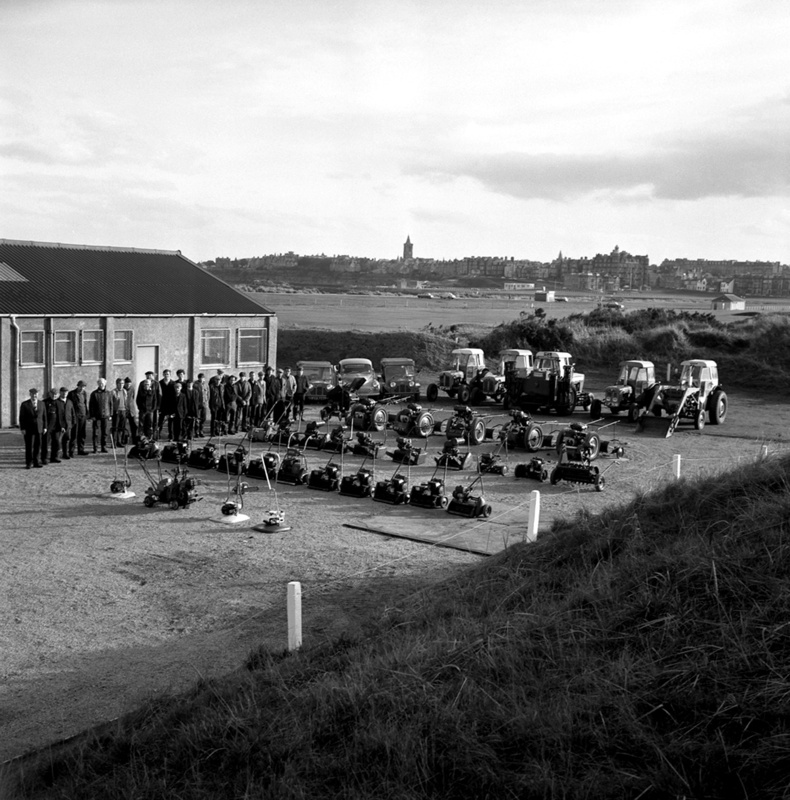 How many greenkeeping staff was there then and how many now? There were only four courses back in 1991. I think I had seven staff on the Eden Course plus myself. 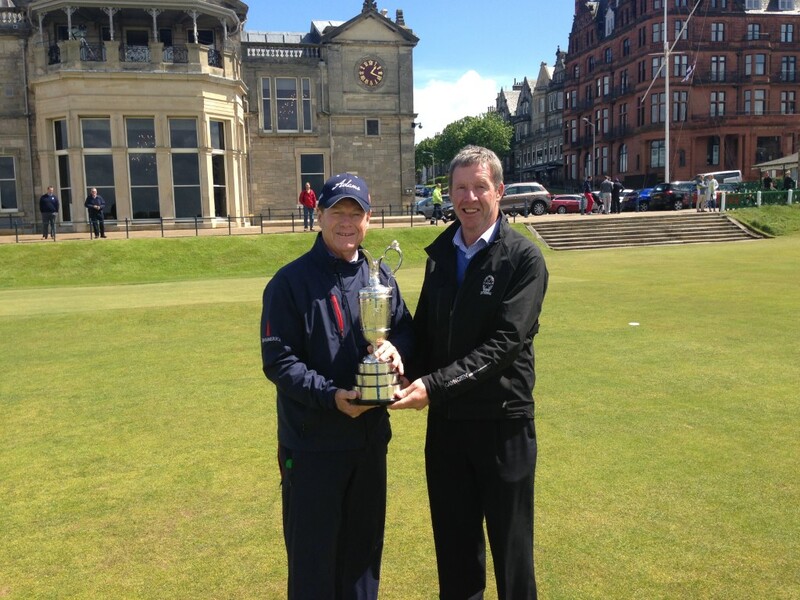 The other teams would have had about the same and the Old Course might have had about eleven. There would be roughly three in the workshop so around 36 in total. 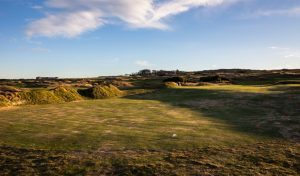 Now the Old Course alone has 23 staff depending on the season and roughly 88 staff in total across all seven courses. When greenkeeping, I used to love getting out on the course ahead of all the mowers in the morning when it was quiet. You could hear only the birds and the waves, it was especially nice in the early autumn when a heavy dew would hang on the spiders webs and gorse bushes. In my current role as Director, other than the obvious of building up and planning for tournaments such as The Open, I think it’s meeting people in the industry. 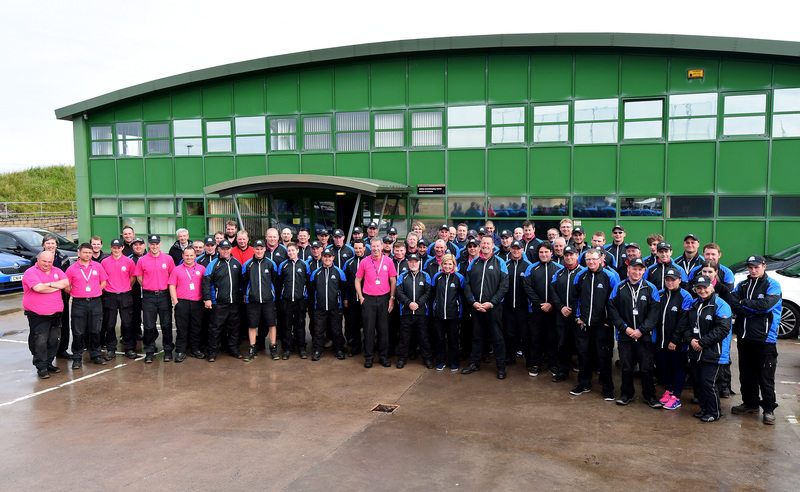 Whether that be visiting course managers from the UK or abroad, people from other parts of the industry that we work with such as fertiliser, seed or equipment suppliers or staff who come to work for a season or just to volunteer to gain experience. Greenkeeping is an industry where people are more than willing to share knowledge, experiences and help others. I’ve met so many people over the years who have helped me in one way or another and I’d like to think I’ve done the same for others. Did you know Gordon’s also a famous actor? 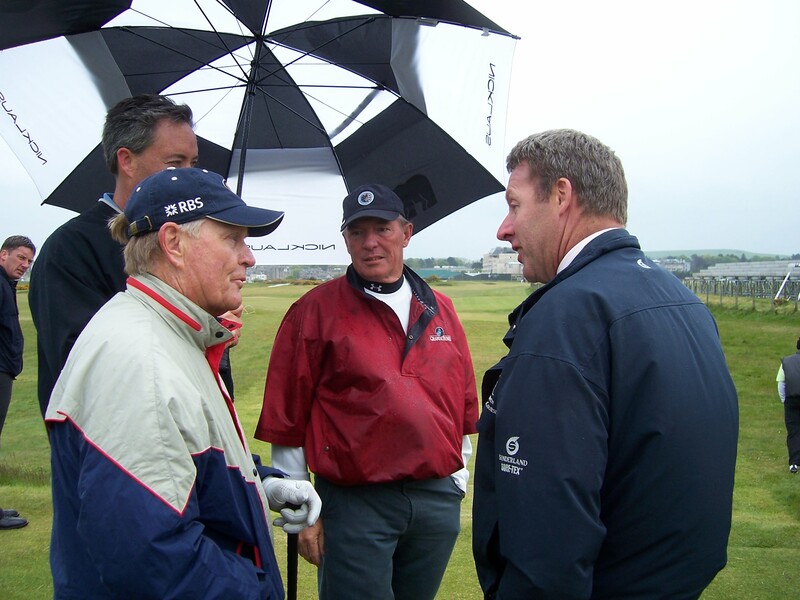 Well maybe not but here he is in 2003 during the filming of ‘Bobby Jones: Stroke of Genius’. Back to camera centre pic, grey jumper and flat cap – Bobby is looking right at him! What’s your best memory/moment in your 26 years at the Links? There are so many! I guess meeting Jack Nicklaus at the 2005 Open Championship on the Friday evening. He was having dinner with his family and friends in the Links Clubhouse. 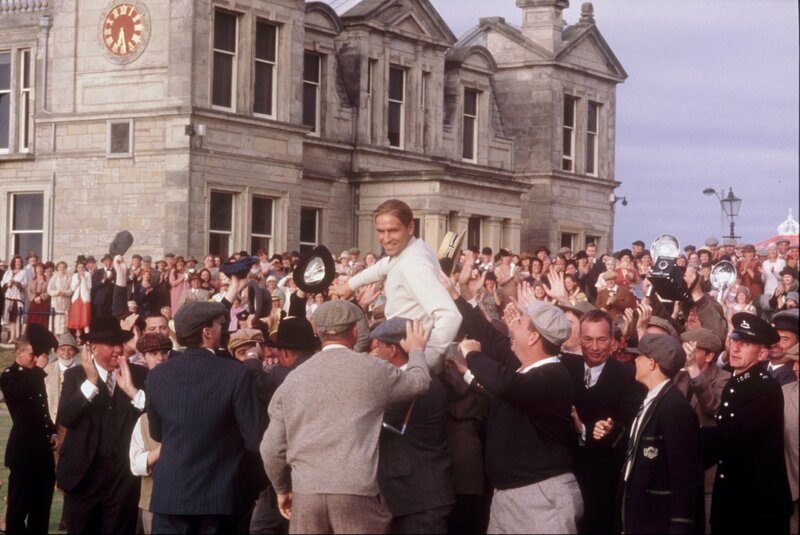 It was his last Open and he asked Euan Grant, the course manager on the Old Course at the time and myself to call in past the Clubhouse so he could thank us. 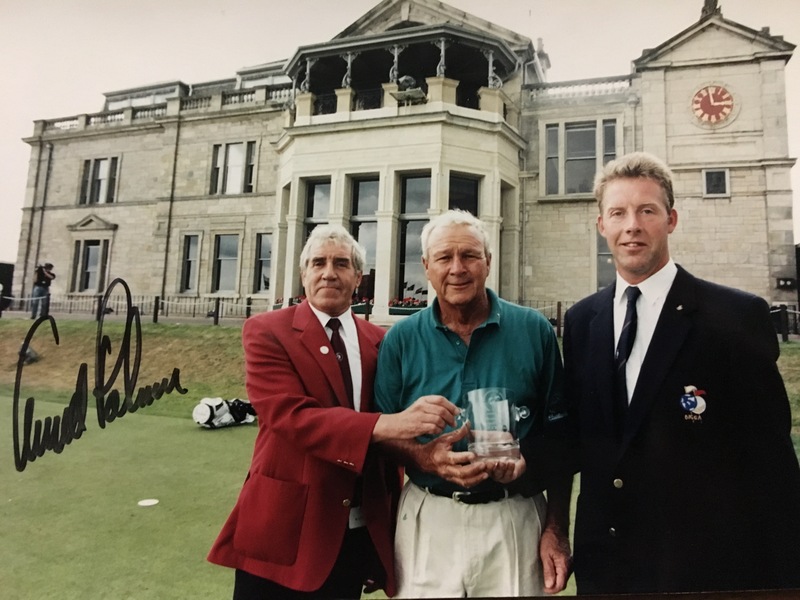 I also got to meet Arnold Palmer back in 1995 when I was chairman of the Scottish region of BIGGA and presented him with a crystal vase for what he had done for greenkeeping. Through the people I’ve met, I’ve been fortunate to get the opportunity to play many of the best courses in the UK, Ireland and the US which for someone who loves golf and golf course architecture as much as me is a dream. 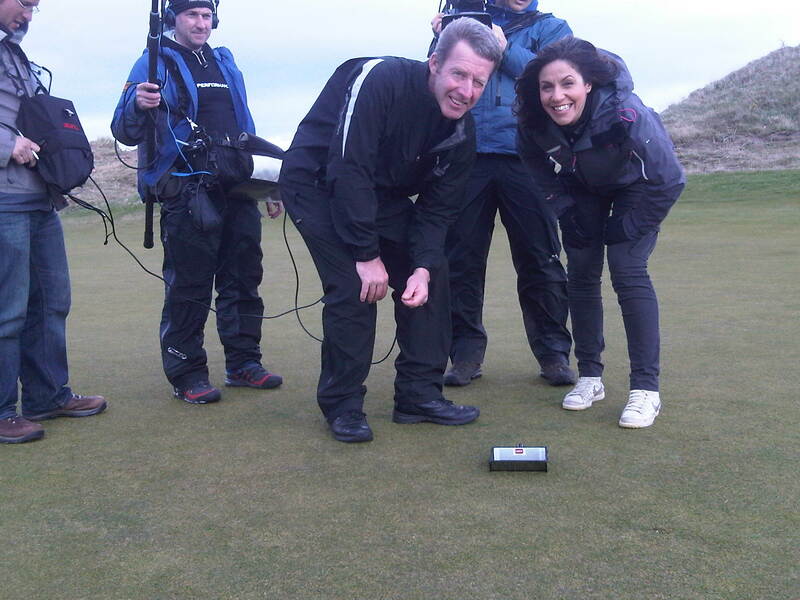 Since you joined the Links, what are the biggest changes you’ve seen in greenkeeping technology? Equipment in general is so much better, bigger, quicker, quieter. Like cars, there’s a greater emphasis on electrics and hybrids. Even just the use of mobile phones and iPads, there’s an app for everything now so data collection and recording things is so much more simple. Back in 1991 I think we might have had two radios per team. We had no computers so there was no email, everything was a typed memo. The irrigation system, although automatic, was not precise in how it was programmed unlike now you can sit at your desk and determine how much water a particular area on the course receives. What does retirement hold for you? No plans other than to travel and spend more time with the family. My wife and I have just become grandparents seven months ago. I could say “play more golf” but my wife would say that’s impossible. We plan to go to the Golf Industry Show in San Diego in February which is the American superintendents trade show and see a few friends and make a holiday of it. Beyond that, I’ll see what comes along but I’m looking forward to doing different things that I want to do. 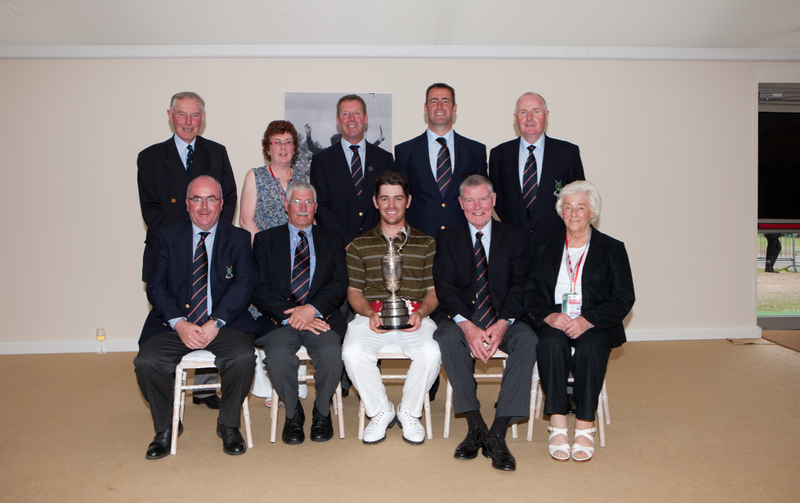 Thank you Gordon for all your hard work and service to the Links. We wish you all the best in your retirement!